Jamaica's Damian Lowe heads the ball as Cayman's Christopher Reeves tries to catch up. It was a tough debut as expected for the Cayman Islands in the CONCACAF Nations League qualifying with a 4-0 loss to Jamaica at the National Stadium in Kingston Sunday night (9 September). 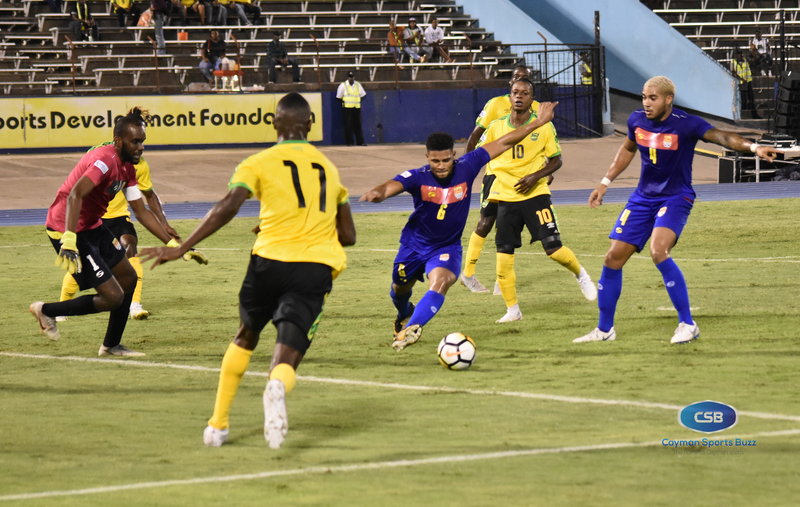 The match-up featured one of the mightiest Caribbean sides against their less heralded neighbours to the west, with the Reggae Boyz ranked 54th in the FIFA World Rankings and the Cayman Islands several rungs down the ladder at 202nd. 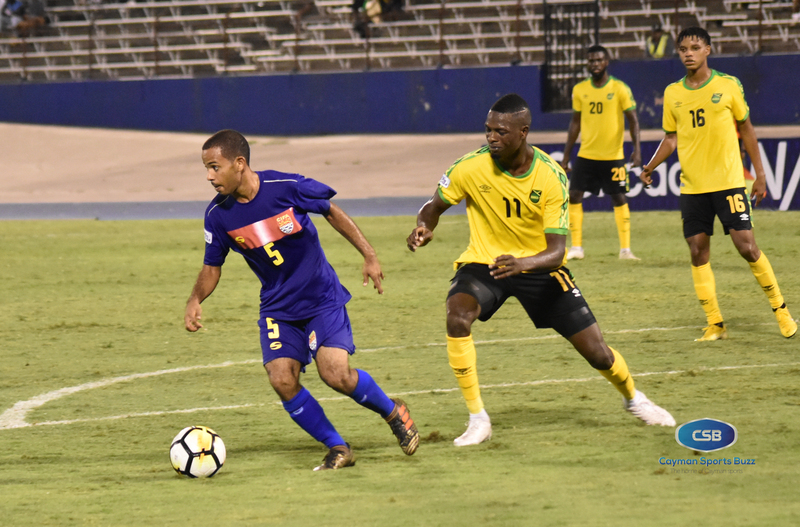 Only three of the Cayman players have played international football at the senior level, while Jamaica is one of the most active Caribbean teams. 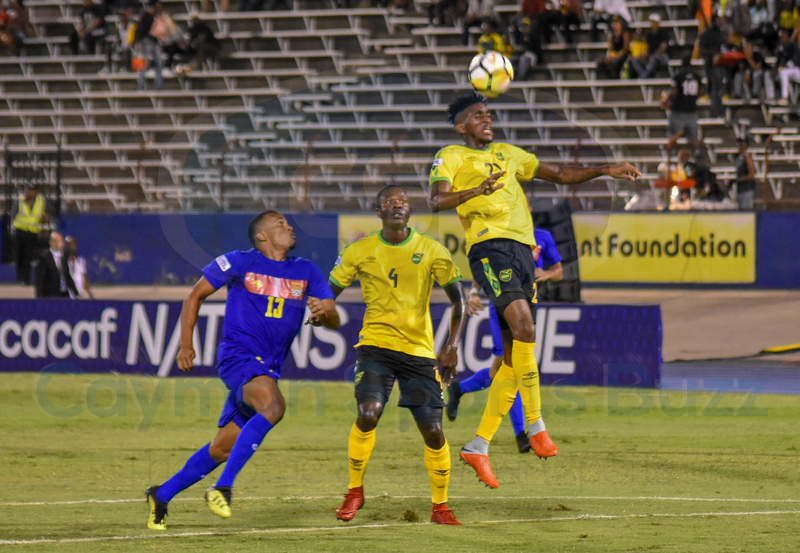 The task became taller early when Darren Mattocks, the forward who plays professionally for Major League Soccer side DC United, connected with a cross from Kemar Lawrence to head the ball past Ramon Sealy to give Jamaica a 1-0 lead in the 2nd minute. Cayman Islands starting XI: L-R (Back) Mark Ebanks, Kyle Santamaria, Wesley Robinson, Joshewa Frederick, Christopher Reeves, Colby Seymour, Tyler Lee. (Front) Michael Martin, Jermaine Wilson, Ramon Sealy, Lucas Christian. Although Jamaica dominated the ball, Cayman denied them the opportunity to add another tally quickly. 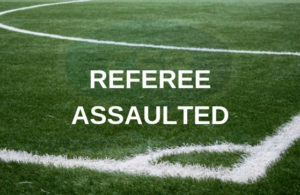 The highlight of the night for the visitors came courtesy of defender Joshewa Frederick, who saved the day momentarily when he lunged toward the goal after Sealy was caught off his line to clear the ball, winning him admiration of an audience passionate about the sport. Sealy made one of his four saves with a spectacular leap to tip the ball over the crossbar in the 44th minute see off another attack. However, Jamaica would take a 2-0 lead into the second half following Cory Burke’s goal a minute later. Mattocks picked up his second in the 57th and Burke did the same in the 66th. It was a comfortable win for Jamaica after dominating with the ball in their possession for 69% of the time and getting off 20 shots, seven of them on target. Compare that to only three shots for their opponents with none on the mark. Sealy, the Cayman Islands captain, reflected on the game as he spoke to reporters at a press conference. “Jamaica came out and played their game. The early goal set us back,” he said, adding that they had a plan to deny the Reggae Boys scoring opportunities and frustrate them. Wesley Robinson clears the ball as Jamaica pressures the defence. He added that by allowing the Jamaicans to control the game in the middle of the pitch, played to the home team’s strengths. “I feel like we could have done a bit more in terms of keeping possession of the ball but that’s how football is. Hats off to Jamaica. They came out, they played their game and they scored their goals and capitalised on our mistakes. So, we just have to move forward to the next game,” Sealy said. 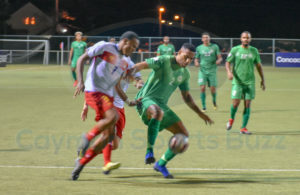 Forward Mark Ebanks, another of the veterans, acknowledged that it was always going to be a rough outing, especially with Cayman’s men playing their last international in 2015. Ebanks, Sealy and Wesley Robinson were the only members of this team who were in national colours three and a half years ago. Jermaine Wilson played well in midfield. Among the plethora of Cayman players making their senior international debut was Colby Seymour. He said it was tougher than expected but conceding an early goal also compounded their problems. “We should have known that we have to stay switched on during the first five to 10 minutes, that’s very important in any half and any match,” the midfielder said. “I’m proud of the boys. 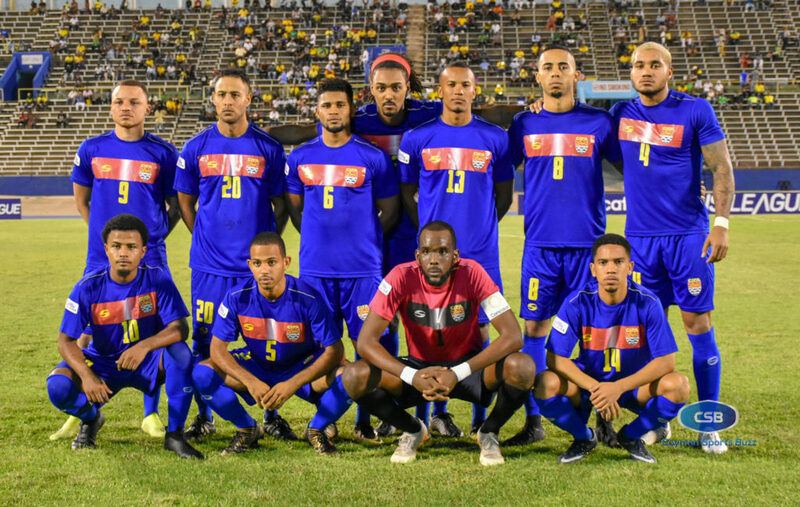 They left it all on the field and the next game is not going to be the same result,” Seymour added defiantly, as the national team turns their attention to next month’s match against the Dominican Republic in Santo Domingo. Seymour’s teammate at Future Sports Club, Tevin Yen, was another making his international debut as a substitute in the second half. 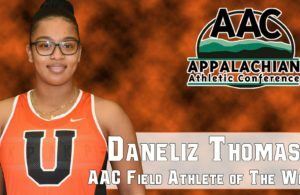 “I’ve been dreaming of this day to get on the field with Damian Lowe, Kemar Lawrence, and Romario Williams. Those guys are MLS players. I got a taste of what the next level is like and I will definitely use this [experience] going forward,” said Yen. 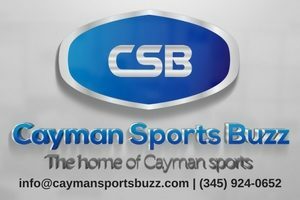 He said Cayman’s players need to remain focused and play with a bit more confidence in their upcoming matches in order to get better outcomes. After making the trip to the Dominican Republic on 14 October, the Cayman Islands hosts St Lucia on 17 November and Montserrat on 22 March. Both home games will be played at Truman Bodden Sports Complex. VIDEO: Ramon Sealy and Joshewa Frederick speak reporters after the game. Each of the 34 participating teams from North America, Central America and the Caribbean will play four qualifying matches to determine the seeding for the full start of the league next year. The top 10 teams will also book spots in the CONCACAF Gold Cup next year, where they will be joined by Costa Rica, Honduras, Mexico, Panama, Trinidad and Tobago, and hosts United States.